Oldsmobile never made a two door wagon ever so today's feature is a bit of a mystery. In 1981, Oldsmobile did offer a four door wagon. However, this wagon has a number of unique features that add up to a more questions than answers as to what and how this beast came to be. 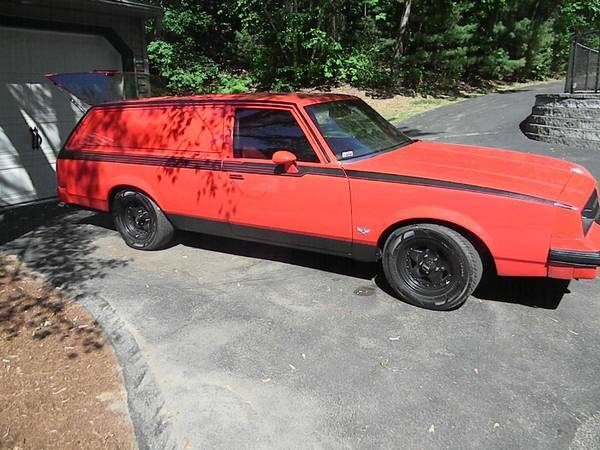 You can see later style G-body Cutlass nose, either a Olds or Chevy 350 engine swap, and enough velour/suede material on the interior that it could pass as a hearse or flower car. 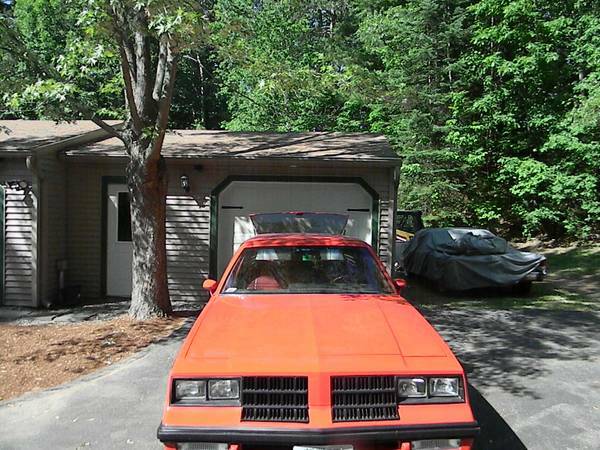 Find this 1981 Oldsmobile Cutlass Supreme for sale in Laconia, NH for $8,500 via craigslist. 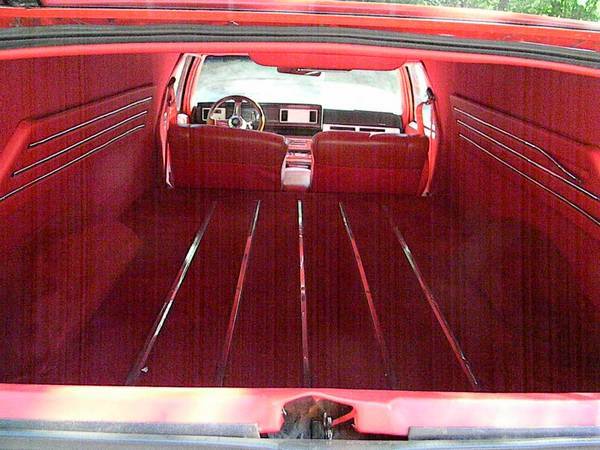 1981 Olds cutlass custom wagon. 350 motor. Automatic. Great driver. Lots of Custom features. Great advertisement vehicle. The nose and headlights are what you would see on a mid 80's Cutlass. The wheel/tire combo fit the car very well. It is very likely on some sort of aftermarket suspension set up as there is not a lot of wheel gap here. The pictures are not clear enough to see what badges were applied to the front fenders. Any guesses how this conversion was done? Cory had to break down and make an appointment at the local euro repair shop on Monday to fix his clunking rear suspension.